The region of Alsace, located between the hereditary enemies of France and Germany, served as a trophy of war four times between 1870–1945. With each shift, French and German officials sought to win the allegiance of the local populace. In response to these pressures, Alsatians invoked regionalism—articulated as a political language, a cultural vision, and a community of identity—not only to define and defend their own interests against the nationalist claims of France and Germany, but also to push for social change, defend religious rights, and promote the status of the region within the larger national community. Alsatian regionalism however, was neither unitary nor unifying, as Alsatians themselves were divided politically, socially, and culturally. The author shows that the Janus-faced character of Alsatian regionalism points to the ambiguous role of regional identity in both fostering and inhibiting loyalty to the nation. 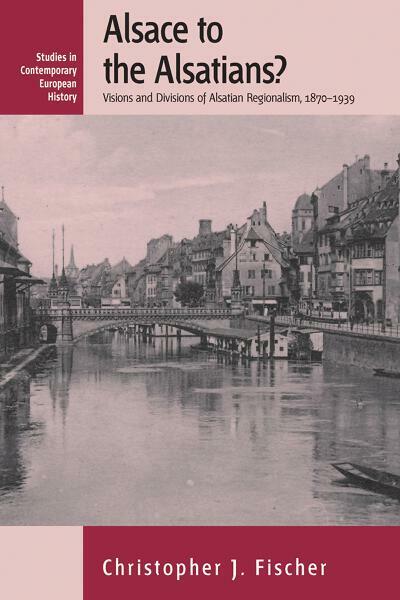 Finally, the author uses the case of Alsace to explore the traditional designations of French civic nationalism versus German ethnic nationalism and argues for the strong similarities between the two countries’ conceptions of nationhood. Christopher J. Fischer received both his Masters and Doctorate degrees from the University of North Carolina at Chapel Hill. He currently is an Associate Professor at Indiana State University. He is also recipient of the Fritz Stern Prize awarded by the German Historical Institute and the Friends of the German Historical Institute.